The careful assembly of the valve to the actuator is critical to ensure that an automated valve performs correctly and reliably. 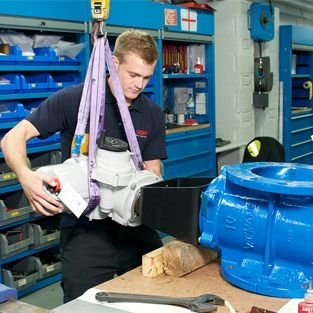 There is a growing need for actuators to be installed on valves after they have left the valve manufacturer’s factory. With our complete range of electric and fluid-power valve actuators, we can automate all valve types regardless of the available power supplies. Working with the engineer responsible for the specification, we will select the correct actuator type and size based on the basic valve data and the plant operational criteria. We engineer and manufacture all components necessary to mount the actuator to the valve. Assembly takes place in our controlled workshop environments by factory trained technicians. 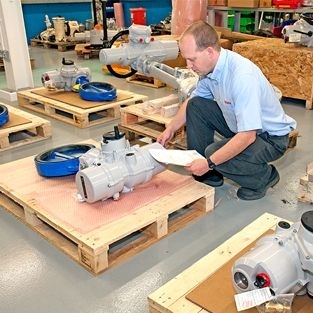 An extended warranty is available when the valve and actuator are commissioned on-site by Rotork technicians.